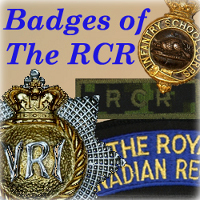 As with badges, the Royal Canadian Regiment saw varying issues of locket-style belt buckles over the years. 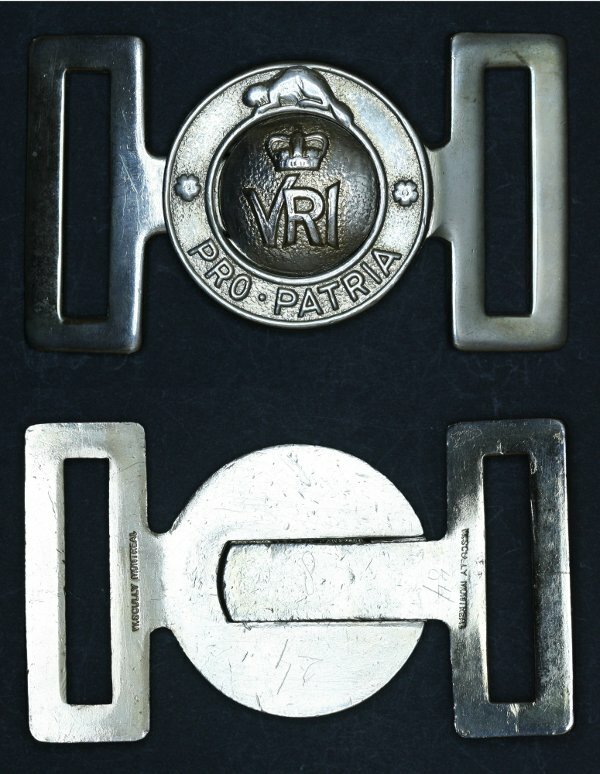 Changes to these buckles took place to match the style of the crown in the Regiment's badges, or to match new belt widths and types. 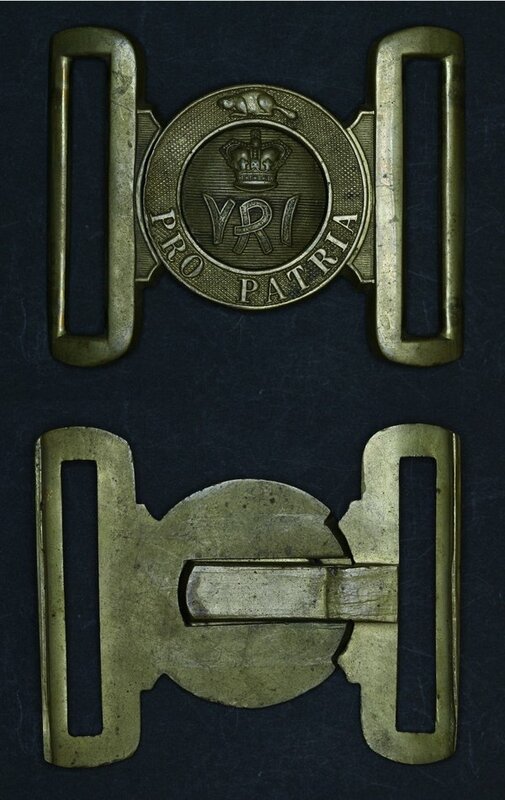 "On the 17th April, 1929, White Buff Equipment (Belts, Frogs and Rifle Slings) were taken into wear under authority of Militia Order No. 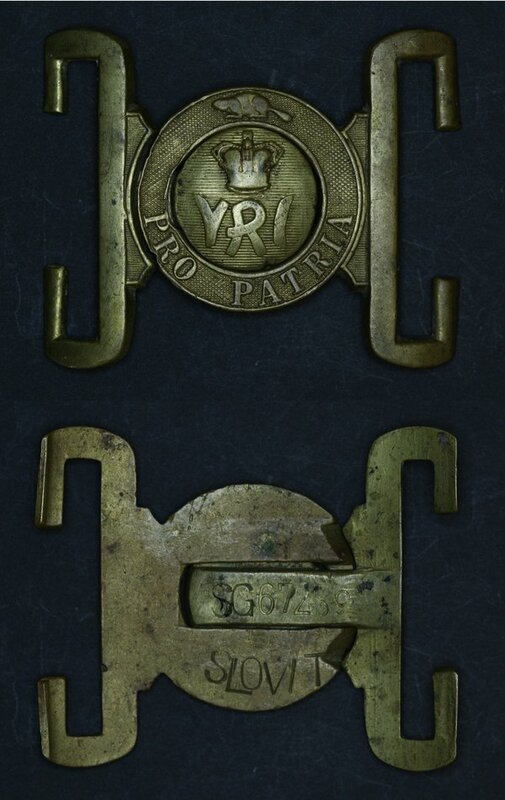 197/1929. 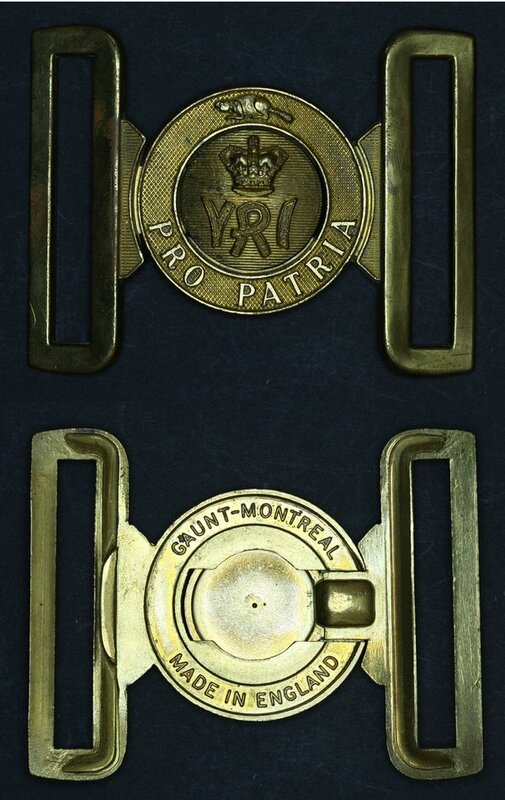 A new Regimental Belt Locket, designed by Regimental Headquarters, and purchased from Messrs William Sculy, Ltd, Montreal, P.Q., out of regimental funds, was taken into wear wth this equipment." 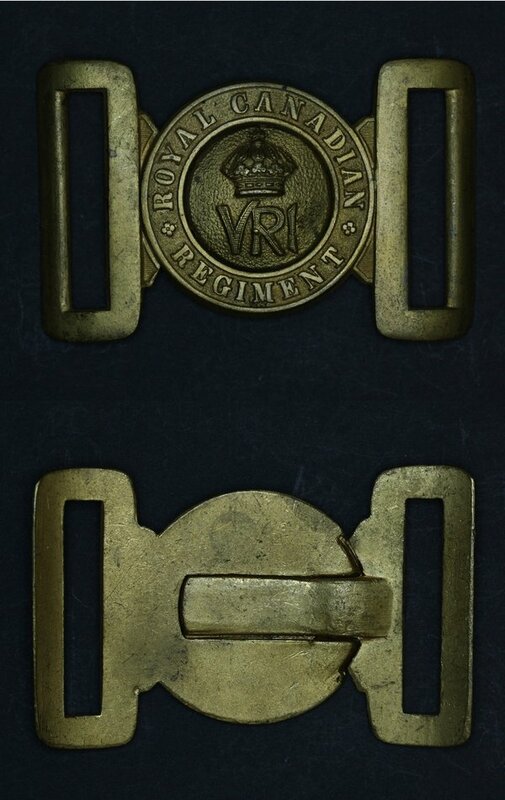 Regimental Locket: All ranks below Warrant Officer will wear the brass two-piece type buckle with 37 pattern web belt. 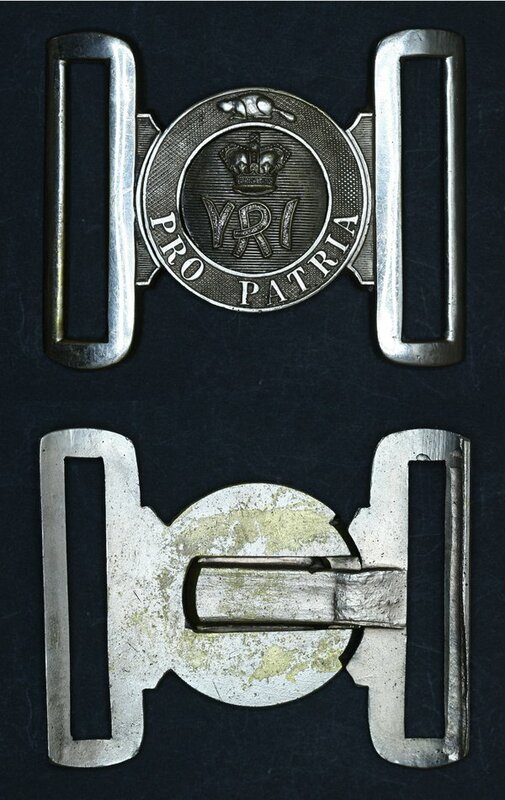 This is the buckle that has been worn for the past few years by all ranks. 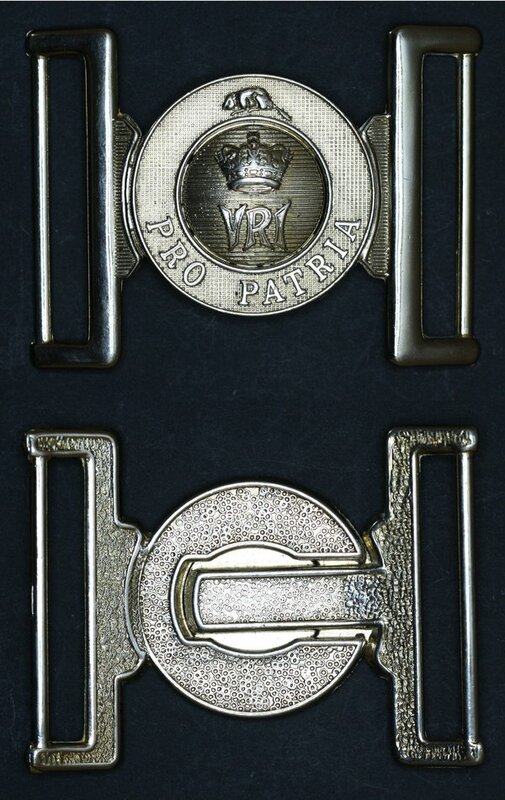 Officers and Warrant Officers will wear the new locket which has the following major difference from the buckle referred to above. 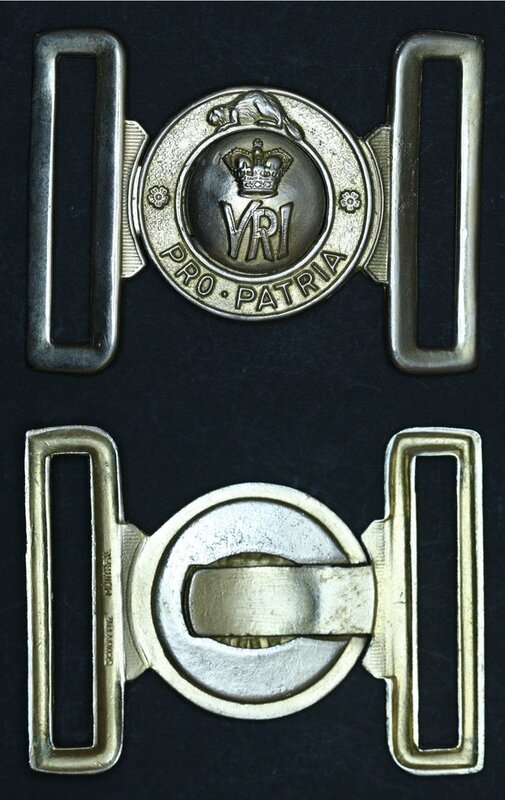 The male piece is plain polished brass with a silver Imperial Cypher (VRI) mounted below a brass crown. 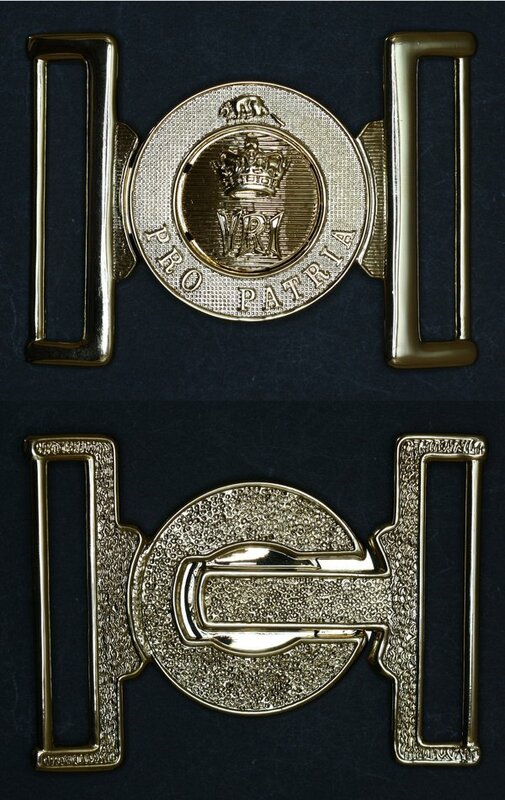 At present these buckles are on order and they will be electroplated before delivery.